Today I am posting Yam or Taro rice. 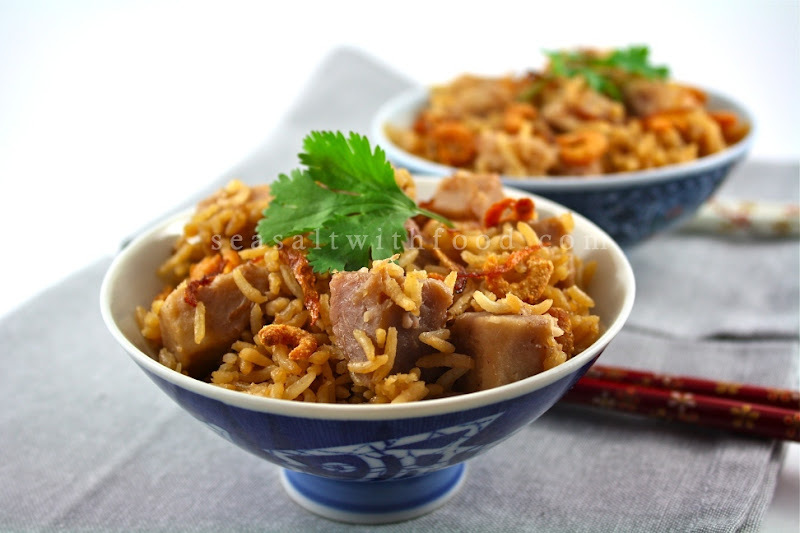 It is a popular savory rice dish with Malaysian Chinese. The rice is cooked with yam, dried shrimps, shallots, and Pandanus leaves. It is very important to use long grain rice so that the rice cooks to perfect fluffiness. So, do try the recipe and I hope you will like it. Heat the oil in a wok and cook the shallots on moderate heat until golden brown. Remove the shallots with a slotted spoon and set aside. Pour the oil into a bowl. Turn the heat on medium, add in the rice and stir for about 2 minutes. Remove the rice into a rice cooker. Then return the oil to the wok. Turn the heat on high and cook the dried shrimps until crispy. Remove and set aside. Mix in the yams and give it a quick stir. Then add the seasoning, half of the shallots and dried shrimps, chicken stock and bring the mixture to a boil. Switch off the heat and pour the entire mixture into the rice cooker together with the pandanus leaves. Season the rice mixture with sea salt and pepper if necessary. Cook the rice as per the cooker instructions. 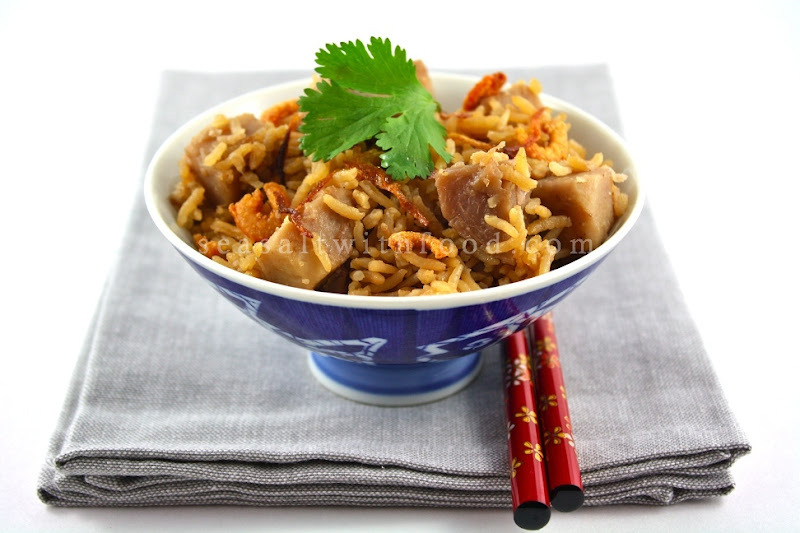 Serve the rice with crispy shallots, dried shrimps and top with some coriander leaves. O M goodness, this is such a long forgotten dish that I used to have while growing up, TeoChew style. Don't recall if we use pandan leaves but it sure adds fragrance to the rice. Will give it a try one of these days. Thanks for the recipe! This brings back so much childhood memory!! I'm half-Teochew! And I love it so much! Yours looks delish! Btw, you've got a lovely blog! Keep it up!